FOUND among the puff pieces from European Inventor Award (here’s the latest example with a uniquely French flavour, “Michelin”) there’s some EPO scandals coverage. It’s not so easy to find however; the EPO wasted a lot of money on several external PR agencies, which are ghostwriting a bunch of nonsense to drown out actual, real news. Decreasing quality of patents has been a major concern of EPO users in the past, as decreasing quality jeopardises industry investments and revenues. As an answer to concerns of technology companies,and patent experts that quality of patents and thus litigation might suffer from shorter examination times, the EPO in February presented a proposal (“UDEC” – user-driven early certainty) at an on-invite meeting. It allows exemptions from the goal of Battistelli’s Early Certainty in Examination initiative to half the time for patent examination from currently 22 months to 12 months on average. In March, however, the EPO cancelled implementation of UDEC by 1 July following critics from Business Europe, the only industry association that has observer status both in the EPO Committee on Patent Law and the EPO‘s Administrative Council. UDEC foresaw to allow applicants to postpone the start of substantive examination for a maximum of three years. Battistelli’s corruption and maladministration are pretty noteworthy and newsworthy, so it should be considered a big surprise that almost no publication in Europe — certainly not the large ones — would cover that. We’ve covered it here a couple of times before [1, 2], taking note of less than a handful of articles about it, primarily blog posts. None of them wish to talk about rumours of impending layoffs, Judge Corcoran who is rumoured to be hospitalised, and the one thousand examiners who jointly signed a petition bemoaning Battistelli's maladministration and the low patent quality. “Battistelli’s corruption and maladministration are pretty noteworthy and newsworthy, so it should be considered a big surprise that almost no publication in Europe — certainly not the large ones — would cover that.”Suffice to say, the EPO has said nothing about the above (ever! ); instead it has just unleashed (warning: epo.org link) and then immediately promoted this latest EPO ‘ad’ for the insecure tyrant, Battistelli. As usual, it’s all about “President Battistelli,” attempting to derive credibility from association with others. It’s that same old modus operandi again. The EPO wrote about SMEs a few hours ago, repeating its old lies and perhaps googlebombing news to better hide its obvious discrimination against SMEs (these leaks were covered by major media in 2015, whereupon the EPO started siccing its lawyers at me, threatening to sue me multiple times). THE EPO has not been saying much about the UPC. 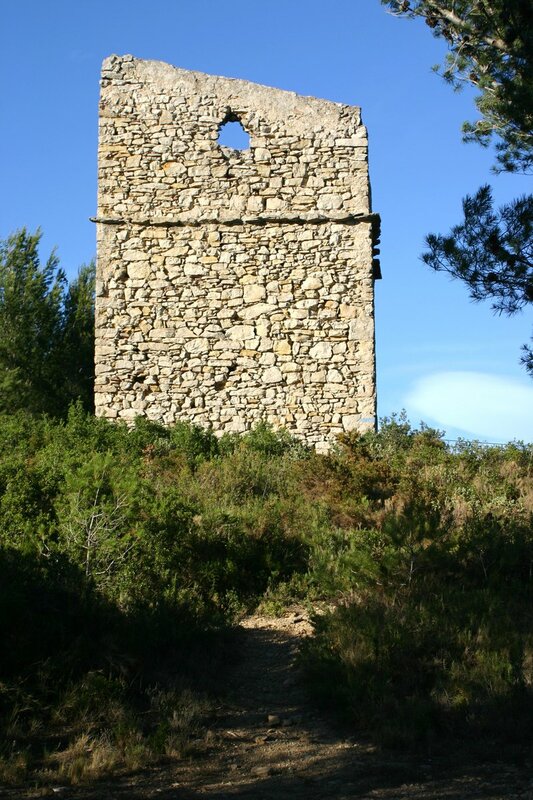 There was mere repetition of Battistelli’s lies in French media a month ago (e.g. about UPC timeline [1, 2]) and it’s all the same nonsense about UPC getting ready to commence. Team UPC has not said much, either. For weeks! “This whole pursuit of unitary ‘patents’ has been one big lie on top of serious political corruption and continental-scale entryism by the patent microcosm.”Earlier today, however, we saw this new article from Charles Russell Speechlys LLP’s Mary Bagnall, who perpetuates popular (among Team UPC’s greedy echo chamber) myths. Amid Brexit negotiations and a serious constitutional complaint (related to EPO scandals and Brexit) they pretend that nothing is amiss. As we said several weeks ago, the main two lies which Team UPC keeps telling/spreading/copy-pasting about UPC these days are as follows: 1) UPC will definitely start in 2019. 2) the only question is, can the UK participate? One is wishful thinking and the second is a loaded statement/question. This whole pursuit of unitary ‘patents’ has been one big lie on top of serious political corruption and continental-scale entryism by the patent microcosm. Thankfully, German judges are seeing all that and we expect the UPC to languish in years to come. It remains to be seen when António Campinos brings up the subject and what he will say (or how much he will lie). Unified Patent Court:16 countries (including the UK) have now ratified the UPCA. With the UK’s ratification on 26 April, it is now only a legal challenge to ratification currently before the German Constitutional Court that is adversely impacting on the timetable for the introduction of the new regime. Assuming the challenge fails and Germany ratifies, this would potentially allow the UPC to open in early 2019. The interesting question is whether the UK can continue to participate in the UPC regime after its exit from the EU. The UK Government has noted that the UPCA is an international treaty and that the international court will have jurisdiction over patent disputes across its contracting states. 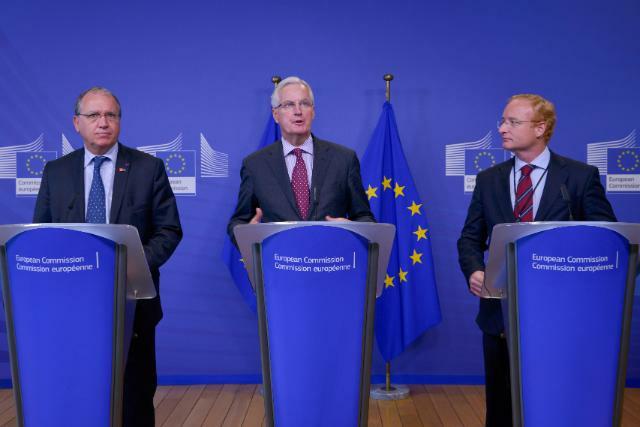 However, the Government has also noted that the unique nature of the proposed court means that the UK’s future relationship with the UPC will be subject to negotiation with European partners as the UK leaves the EU. The continuing participation of the UK and any participation of other non-EU countries, such as Switzerland, would certainly require amendment of the UPCA. It is thought that this is a possibility, but the question is whether there is enough support to make this happen? 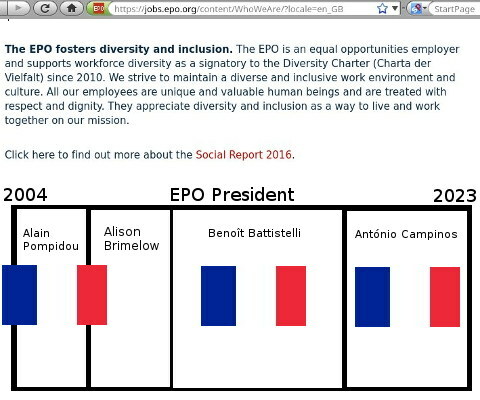 “At the EPO, we already know that diversity – of any kind – can be great for an organisation. Our Office benefits from the dedication of staff that come from 35 countries. And we draw strength from our many different cultural backgrounds.” –Benoît Battistelli, earlier this month. THE SCOTUS issued some important rulings such as Alice and Mayo, which meant that patents granted by the USPTO may, in retrospect, be invalid. The Saint Regis Mohawk Tribe is attempting to shield Allergan from the Patent Trial and Appeal Board (PTAB), the only tribunal that can render Allergan’s patents invalid unless Allergan sues. All sorts of pharmaceutical patents are under a similar threat from PTAB and Mr. Kyle Bass made headlines some years ago when he used PTAB as a ‘weapon’. His ‘threat’ was ending a monopoly. The subject of immunity from PTAB is now at the Federal Circuit and we need to question the motivation of politicians who take Allergan’s side, even based on their sources of funding alone. “Watchtroll likes to heckle politicians who receive money from technology firms, but what about pharmaceutical firms?”To be clear, in the area of technology pretty much all the companies — both large and small — support PTAB, except a few like IBM, which nowadays relies on patent shakedowns rather than sales (we have been saying this for years [1, 2, 3, 4, 5]). Watchtroll likes to heckle politicians who receive money from technology firms, but what about pharmaceutical firms? Or law firms (third in Orrin Hatch’s list)? We’ll come to that in a moment. In case it’s not obvious, in the pharmaceutical sector the notion of patent trolls is rare and practically ineffective because the number of producing firms is relatively small. It just doesn’t scale. So PTAB is of virtually no use for large pharmaceutical firms; it mostly puts them under the ‘threat’ from generics (we use scare quotes because this the real threat is a threat to people’s lives due to the price of certain medicine — monopolised medicine). Samsung challenged multiple claims of two of Huawei’s patents-in-suit. The USPTO decided to institute reexamination with respect to some of them, but it had to issue a supplemental order in the wake of SAS and look–nolens volens–at all challenged claims, though it encouraged Samsung to drop its challenge to the ones with respect to which the USPTO was originally unconvinced. As I wrote in my commentary on SAS, this isn’t good for the efficiency of the PTAB inter-partes review (IPR) process, but the conservative Supreme Court majority was right that the way the law was worded didn’t leave room for any other decision, short of legislating from the bench, which most justices declined to engage in. The basics of the amendment is that the results of an IPR/PRG proceeding cannot serve as its Paragraph IV certification that the patent is invalid. A parallel provision is designed for biologics under the BCPIA. How scary is the impending patent cliff? It’s not as bad as you might think. The worst brunt won’t be felt until 2023. Total sales at risk due to patent expiration will actually be much lower than in recent years in 2020, 2021, and even 2024. Also, just because sales are at risk doesn’t mean that those sales will completely be lost. EvaluatePharma projects that roughly $139 billion in sales will be lost between 2018 and 2024 for drugs that go off-patent. That’s a big number, but it’s also much lower than the $250-plus billion in sales that are at risk during the period. Humira, for example, is still expected to be the world’s No. 1 drug in 2024, with sales of more than $15.2 billion. EvaluatePharma thinks that Revlimid will slip a spot from No. 2 to No. 3, but will still grow robustly and generate revenue of close to $8.2 billion annually seven years from now. Johnson & Johnson has demonstrated the ability to hold on to most of the revenue for Remicade despite losing patent exclusivity. However, J&J’s tactics have been controversial and spurred Pfizer to sue for alleged violation of antitrust laws.